Baden Wiffle or wiffle Balls 10 dozen per case. 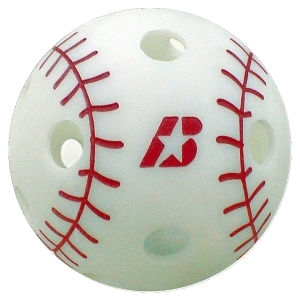 Baden's Whiffle ball; the BL9 Big Leaguer® is the best whiffle ball made. The red seams allow batter to see or pick up the spin on the ball. Not only does it move just like a regular baseball, but the material it is made out of is extremely hard to crack. The special plastic allows a ball that is dented on a hard hit to recover it shape on its own.Sold in 10 dozen per case. Shipping is 18 per case. Free shipping on orders ordering more than 12 cases.